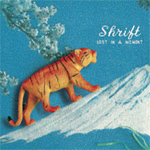 Lost in a Moment is Shrift's first album but it is hardly a debut for the group's two members. Anglo-Brazilian Nina Miranda is a charter member of the celebrated group Smoke City and has recorded with such luminaries as Bebel Gilberto, Nitin Sawhney and Da Lata. Dennis Wheatley is best known for his work with the British electronic band Atlas. As Shrift, these two musicians have crafted a warm, elegant and atmospheric fusion of acoustic and electronic music to soothe your soul and stir your imagination. Stránka vygenerována 22.4.2019 v 23:03:54 za 0.235 sekund.